The Philharmonia Chamber Players, a select group of musicians from the Bay Area’s own Philharmonia Baroque Orchestra, was formed in 2005 for a concert at London’s Royal Opera Covent Garden. The Philharmonia Baroque Orchestra has been dedicated to historically-informed performance of Baroque, Classical and early-Romantic music on original instruments since its inception in 1981. Under Music Director Nicholas McGegan, Philharmonia Baroque has been named Ensemble of the Year by Musical America. The Orchestra performs an annual subscription series in the San Francisco Bay Area, and is regularly heard on tour in the United States and internationally. The Orchestra has its own professional chorus, the Philharmonia Chorale, directed by Bruce Lamott, and welcomes talented guest artists such as mezzo-soprano Susan Graham, countertenor David Daniels, conductor Jordi Savall, fortepianist Emmanuel Ax, conductor Masaaki Suzuki, and violinist Rachel Podger. The Orchestra has had numerous successful collaborations with celebrated composers and choreographers. Philharmonia premiered its first commissioned work, a one-act opera by Jake Heggie entitled To Hell and Back, in November 2006. In collaboration with the Mark Morris Dance Group, Philharmonia Baroque gave the U.S. premieres of Morris’s highly acclaimed productions of Henry Purcell’s King Arthur and Jean-Philippe Rameau’s ballet-opera Platée. Among the most-recorded period-instrument orchestras in the United States or in Europe, Philharmonia Baroque has made thirty-four highly praised recordings – including its Gramophone award-winning recording of Handel’s Susanna – for harmonia mundi, Reference Recordings, and BMG. In 2011, Philharmonia launched its own label, Philharmonia Baroque Productions, with an acclaimed recording of Berlioz’s Les Nuits d’été and Handel arias featuring mezzo-soprano Lorraine Hunt Lieberson. The second CD release, Haydn Symphonies No. 104 “London”, No. 88, No. 101 “The Clock,” has been nominated for a GRAMMY® Award for Best Orchestral Performance. 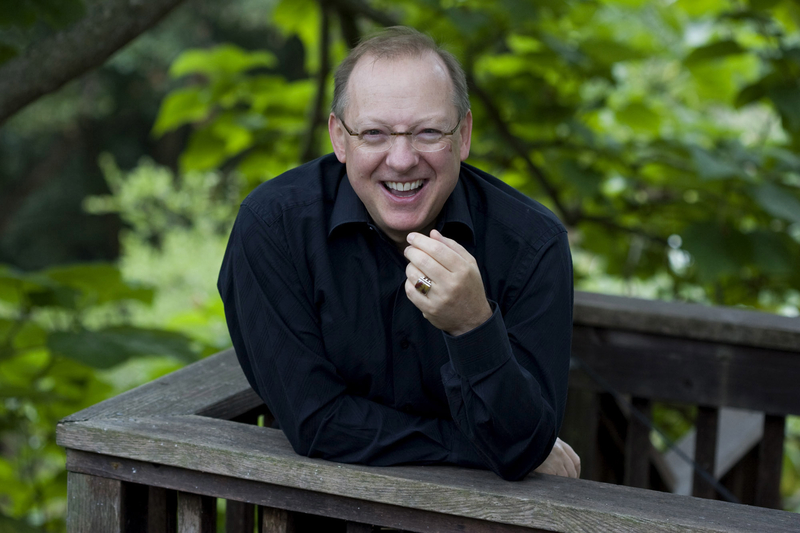 As he embarks on his fourth decade on the podium, Nicholas McGegan, hailed as “one of the finest baroque conductors of his generation” (London Independent), is increasingly recognized for his probing and revelatory explorations of music of all periods. 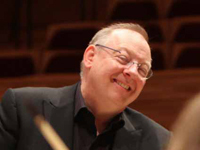 He has been music director of Philharmonia Baroque Orchestra for 27 years, and was Artistic Director of the International Handel Festival Göttingen for 20 years (1991–2011). Beginning in the 2013-14 season he becomes Principal Guest Conductor of the Pasadena Symphony, and in 2014 becomes Artist in Association with Australia’s Adelaide Symphony. His approach to period style — intelligent, infused with joy and never dogmatic — has led to appearances with major orchestras: including the New York, Los Angeles, and Hong Kong Philharmonics; the Chicago, Milwaukee, St. Louis, Toronto and Sydney Symphonies; the Cleveland and the Philadelphia Orchestras; and the Northern Sinfonia and Scottish Chamber Orchestra, where his programs often mingle Baroque with later works. He is also at home in opera houses having conducted companies including Covent Garden, San Francisco, Santa Fe and Washington, and he was Principal Conductor at Sweden’s famed Drottningholm Theatre from 1993-1996. English-born Nicholas McGegan was educated at Cambridge and Oxford. He was made an Officer of the Most Excellent Order of the British Empire (OBE) “for services to music overseas.” Other awards include the Halle Handel Prize; the Order of Merit of the State of Lower Saxony (Germany); the Medal of Honour of the City of Göttingen, and a declaration of Nicholas McGegan Day, by the Mayor of San Francisco in recognition of his work with Philharmonia Baroque. In 2013 he was awarded an honorary degree of Doctor of Music by the San Francisco Conservatory of Music. His extensive discography includes six recent releases on Philharmonia Baroque’s label, Philharmonia Baroque Productions (PBP), including Brahms Serenades; Beethoven Symphonies nos. 4 and 7; Berlioz Les Nuits d’été and Handel arias with Lorraine Hunt Lieberson; Haydn Symphonies nos. 88, 101 and 104 (nominated for a GRAMMY® Award); Vivaldi The Four Seasons and other concerti with violinist Elizabeth Blumenstock, and Handel’s Atalanta featuring soprano Dominique Labelle. Highlights of her past and current seasons include Messiah with Bach Collegium Japan, the National Symphony Orchestra, Calgary Philharmonic, and the Nashville and San Antonio Symphonies; Saul with the Tafelmusik Baroque Orchestra; Belinda in Dido and Aeneas and Galatea in Acis and Galatea with the Mark Morris Dance Group; Solomon with the Radio Kamer Filharmonie; Handel at Carnegie Hall with William Christie; Christmas Oratorio with the Orchestra of St. Luke’s; Mozart’s Exsultate jubilate and Requiem, with the Washington Bach Consort; and St. John Passion, St. Matthew Passion, and Brahms Requiem with St. Thomas Fifth Avenue. 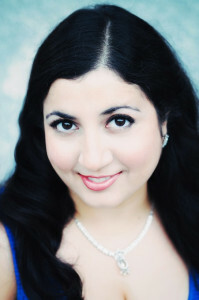 Ms. Panthaki’s repertoire extends well beyond the music of the Renaissance and Baroque to Orff’s Carmina Burana with the Houston Symphony, Rachmaninoff’s Vocalise and Strauss lieder at the Bari International Music Festival, Britten’s War Requiem with Louisville Choral Arts Society, as well as solos in Stravinsky’s Les Noces, Poulenc’s Stabat Mater and Gloria. Ms. Panthaki holds an Artist Diploma from the Yale School of Music. Since its founding in 2009, Juilliard415, the school’s principal period-instrument ensemble, has made significant contributions to musical life in New York and beyond, bringing major figures in the field of early music to lead performances of both rare and canonical works of the 17th and 18th centuries. Among the many distinguished guests who have led Juilliard415 are Masaaki Suzuki, Ton Koopman, Harry Bicket, Nicholas McGegan, the late Christopher Hogwood, and Monica Huggett. In 2011 the ensemble made its Carnegie Hall debut in a concert that was cited as one of the ten best of the season by The New York Times. A 2012 performance of Handel’s Il Trionfo del Tempo under the baton of William Christie earned this same distinction. Juilliard415 tours extensively in the U.S. and abroad, with notable appearances at the Boston Early Music Festival, the Leipzig Bachfest, and the Utrecht Early Music Festival, where Juilliard was the first-ever conservatory-in-residence. With its frequent musical collaborator, the Yale Institute of Sacred Music, Juilliard415 has performed throughout Italy, Japan, Southeast Asia, and the United Kingdom. Other recent milestones include a fully staged production of Handel’s Radamisto; a tour of Charpentier’s Actéon with William Christie; concerts in New York and Miami of incidental music to Shakespeare plays in collaboration with the Juilliard Drama Division, conducted by Jordi Savall; and the rare opportunity to hear both Bach Passions in successive months. Members of Juilliard415 have been to Germany for concerts in Augsburg and Munich with the Leopold-Mozart-Zentrum, and they maintain a keynote presence at William Christie’s annual summer festival Rencontres musicales en Vendée, where the ensemble has appeared since the festival’s founding in 2012. The 2014–15 season brought return visits from William Christie for Handel’s La resurrezione, Robert Mealy in a program of virtuoso Italian Baroque music, Monica Huggett in an all-Beethoven program, and Jordi Savall directing a themed concert called Amid the Charms of Nature, as well as debuts from Kristian Bezuidenhout and British violinist Rachel Podger, and an historic collaboration among the Metropolitan Opera’s Lindemann Young Artist Program, Juilliard’s Marcus Institute for Vocal Arts, and Juilliard415 for performances of Gluck’s Iphigénie en Aulide, Jane Glover conducting. 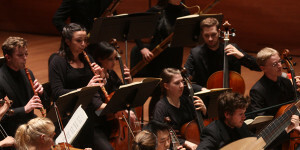 During the 2015–16 season, Juilliard415 gives concerts in Vancouver and the Bay Area with Nicholas McGegan; in Portland, OR and New Haven with the Yale Schola Cantorum, David Hill conducting; welcomes Lars Ulrik Mortensen for his Juilliard debut; collaborates with the Marcus Institute in a staged production of Cavalli’s La Calisto; expands its repertoire by playing Mendelssohn with Monica Huggett; features Juilliard dancers in a concert entitled Terpsichore, led by Robert Mealy; and celebrates the holidays with Bach’s Magnificat and conductor Richard Egarr. Other esteemed guests include William Christie, Jordi Savall, and Masaaki Suzuki.